PLATAFORMA explores the present existential crisis of humanity, making a transdisciplinary reflection on the human body, creating a movement of intercontinental Amazons & Shamans proposing actions to address the way we affect society with our myths, rituals, animality, violence, and statements of progress, life and death, having the body as protagonist. Plataforma wants to link the history and the future of humankind researching, dialoguing, unveiling meeting points and possible articulations of the artistic and everyday realities with question that open up possibilities for communication and inquiries about issues in nowadays life, facing them with their phenomena and responding to difficult times by developing our own utopias. See Facebook-Event with more details about the artists here! The work in progress “Part one: SPLATTER” from the collective BROKEN LOOP (Anastasia Alekseevna, Jarkko Räsänen and Lola Lustosa) is a free deviation and it proposes a loop structure studying with slide projections and recording sounds loops on stage. The soundscape is combined to theatrical gestures resulting into a trance/psychedelic sessions. We leave here a question: Is it possible to break the loop? In this work in progress Ixchel Mendoza Hernández wants to investigate the potentiality and processes of transformation. These transformations are happening in the performativity and in the structure of the performance itself. Throughout these processes, produced by the body in motion, the light, and sound, the aim is to provoke a kind of “transmutation” of the performance itself, as a possible “Alchemist” process. In “The Reversed Alchemist” the concept of alchemy is used as a metaphor for transformation and change, proposing a different kind of alchemy the one that doesn’t operate with matter but with perception. We live in a society where supposedly we are drowning in a flood of information. It said to be an age of distraction, where there is mental fog or scramble thinking, a society with anxiety and at the same time used and in need to extreme stimuli. This flood of information causes a fractured attention, as a consequence there is a lack of capacity to process and gain meaning of the given information. “The Reversed Alchemist”, by the means of a performative situation, reflects upon this phenomenon. The Reversed Alchemist was developed during the residencies at ATMO Berlin and LIFE LONG BURNING Wild Card residency ICI-CCN Montpellier in cooperation with Uferstudios Berlin. Come to the market of invisible goods. The wares are questions made of air, too heavy to transport yet lightweight for immediate use. From these materials you can build a house of transparent walls, reflecting ceilings and groundless floor. Adorn your space with rugs made of vastness, vases filled with crisis, shelves mounted in promise. Special hands will serve your special needs, pointing, punching, holding, conjuring. Timing is when the market is open. Pay with precision and emptiness buys you everything. Work in Progress presented in 2 pieces & karaoke #2 on 25 March 2018 at KunstKooperative in Berlin. Special Thanks to Richard Aslan, Marc Philipp Gabriel, Andre Uerba, Juan Corres Benito, Michael Shapira, Peter Max Lawrence, Leyla Postalcioglu & Emre Altan, Ezra Green, Sam Parfitt, Marcela Giesche and Lake Studios, and Jon Kiriac of KunstKooperative! A thin line in a white background. An empty room. In the center, a mirror that shows, on one of its sides, the image of a powerful and dominant woman, and on the other, its cadaverous figure in progressive organic disintegration. Horror Vacui brings the concepts of asymmetry, spiral and eroticism of the modernist trend to contemporary and urban movement, displaying an infinite, entangled body that describes curvilinear and free pathways, creating images where sensuality and details lead the scene. In the same way, it provides a parallelism between these modernist ideas and the movement of breakdance, using bboying concepts such as threads and floor work. From a feminist point of view, it suggests an analysis of the women presence in urban dance and hip hop culture, headed mainly by men. Horror Vacui aims to untie the urban culture from the premise of the masculine gender, making it compatible with femininity and, therefore, acclaiming an inclusive, “aesthetic” culture that challenges the entrenched stereotypes, offering a movement more adapted to the current contemporary moment in constant change. At the same time, it criticizes the concept of “woman as object”, forced through history to adopt different roles as the society dictates, led, once again, by the masculine gender. An attempt to release women, from the analysis of the female character, starting from the French Belle Epoque, that travels between the obligations and clichés of the “dignified” life and the progressive disinhibition towards empowerment. * Inspired by the modernist collection of the painter Hermen Anglada-Camarasa. Concept and choreography: Meraki Cía. 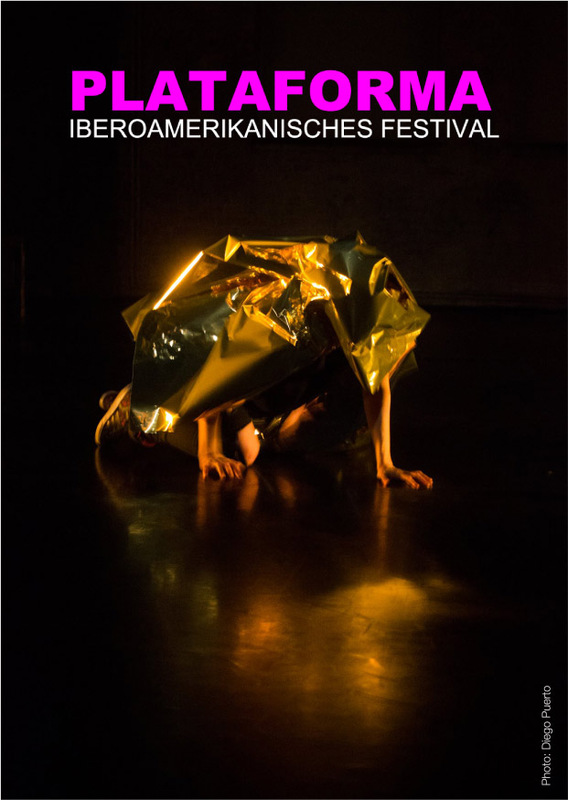 ANTHROPOMORPHA/JAGUARING is a physical research for a long-durational dance/performance solo project which is part of a trilogy – thoughts about the anthropocene – that asks questions about nowadays nature’s crisis. With focus on the personal history and autobiographic narrative of the choreographer, the piece researches into a place of interaction to find a connection between animality and humanity. This research is a starting point for a reflection focused on biodiversity, it takes a look at the past-present-future of mankind and its relationship to other (animal) bodies. The trilogy dares a statement on interdependence, mutualism and togetherness, and is an attempt to embody our animality and to rethink our place in the world.